Here are two great places to gather with your friends for an afternoon of Super Bowl fun that can easily roll into the late post-win hours! 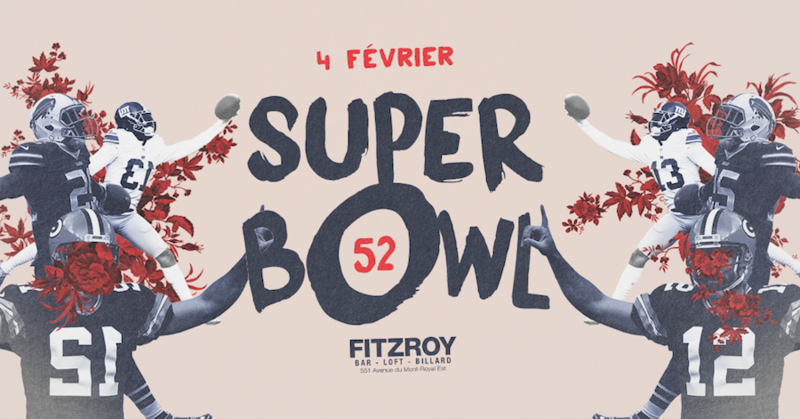 The Fitzroy is a sprawling sports bar on the Plateau that’s perfect for events like the Super Bowl. This year the guys have planned a great menu and a few surprises exclusively for Super Bowl Sunday. For $40 dollars you have access to an all you can eat buffet, 2 pints and 2 chances to win a great prize during the evening. Event starts at 6:30pm. Check out the Facebook event here for more! 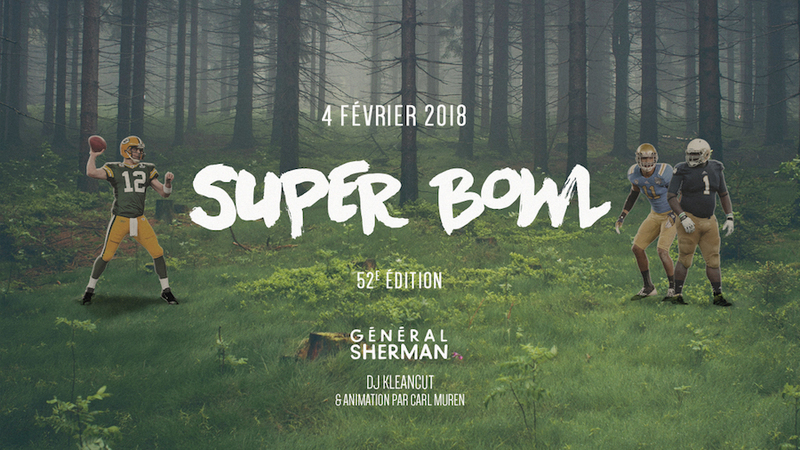 If you’re on the North Shore and you don’t want to stray too far from home, General Sherman proposes you pay them a visit on Super Bowl Sunday! Starting at 6:00pm and for only $20 you have access to an all you can eat buffet, a wings pyramid, a cheese fountain, nachos and so much more food! You also have your name entered in two draws during the evening. Get all your details right here! IF STAYING IN IS MORE YOUR THING CLICK HERE FOR SOME PRETTY GREAT FOOD RECOMMENDATIONS!